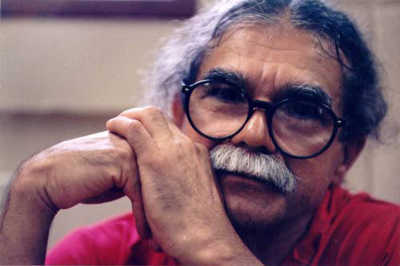 Now that freed FALN terrorist Oscar Lopez Rivera has been named a special parade marshal with the title “National Freedom Hero” by officials of the New York City Puerto Rican Day Parade, victims of Rivera and the FALN should use New York State’s “Son of Sam” law to sue the parade committee and any corporate sponsors putting their names on the event. They might also look into the possibility of using the Son of Sam law against Lopez Rivera’s political associates, such as New York Mayor Bill de Blasio, City Council Speaker Melissa Mark-Viverito, and Bronx borough president Ruben Diaz Jr. The case that these politicians are profiting financially from Lopez Rivera’s crimes would be harder to make, but they are definitely profiting politically from his crimes. Son of Sam laws are named, of course, for serial killer David Berkowitz, who murdered six people and wounded seven in 1976, a year after Oscar Lopez Rivera’s terrorist group FALN bombed the Fraunces Tavern, murdering four and wounding 40. Lopez Rivera and FALN were prolific in their terrorist acts: over several years of bombings, they maimed and killed scores of people and caused millions of dollars in property damage. Thanks only to luck (from the victims’ perspective), and incompetence in bomb making, their body count was far less than it might have been. In the last days of his presidency, Barack Obama disgracefully commuted Lopez Rivera’s sentence. He did so not because there was any outcry from ordinary Puerto Ricans for Lopez Rivera’s release but because the terrorist and other blood-drenched political killers like him are sort of nostalgic mascots for a cohort of well-heeled, hard-left radicals who wield outsized power in academia and Hollywood — and also in some religious and political circles. Jimmy Carter and Bishop Desmond Tutu, two such ethical frauds who have been dining out on their “human rights” credentials for decades, are big FALN terrorist supporters. One wonders how Carter and Obama’s Secret Service agents feel about these ex-presidents’ successful efforts to free a terrorist who repeatedly attempted to murder . . . federal law enforcement agents. The Son of Sam law was designed to prevent criminals from writing about their crimes for profit or selling their stories to people such as movie producers. After First Amendment challenges, the laws were re-written. To put it simply, criminals may now write about and otherwise publicize their deeds, but their victims and victims’ families may file claims to seize whatever profits accrue. If the crime is a generalized act of terrorism, the government may also collect. The Puerto Rican Day Parade Committee is particularly vulnerable to the charge that it is using Oscar Lopez Rivera’s violence for profit. It was the committee’s choice to feature him, and it is publicizing his presence. The parade committee, by the way, is a troubled organization with a long history of financial impropriety: its board members richly deserve any legal problems they find themselves in as a result of honoring a terrorist who destroyed scores of lives and cost the city and private businesses millions of dollars. The federal government should likewise sue to retrieve damages for the millions of dollars the FALN cost in damaged government buildings and police investigations pursuing the terrorists. Corporations choosing to sponsor the parade featuring Lopez Rivera are likewise using his notoriety to advertise their products. That, at the very least, places them in the vicinity of Son of Sam liability. But it’s not just corporations that might be vulnerable to such lawsuits. Terrorists like Lopez Rivera are hot commodities in political nonprofit and academic circles. Hosting terrorists and advocating for them benefits nonprofit and academic institutions in tangible and intangible ways that doubtless impact the institutions’ fundraising appeals and grant-seeking. Jimmy Carter’s advocacy for Lopez Rivera raises interesting questions: if Carter has used the resources of the Carter Center to hold conferences for, fundraise or otherwise advocate for Lopez Rivera, can the Carter Center be sued? Other deep-pocketed advocates for Lopez Rivera include: the United Council of Churches of Christ, the United Methodist Church, the Baptist Peace Fellowship, the Episcopal Church of Puerto Rico, and the Catholic Archbishop of San Juan – and Bernie Sanders. Regarding the latter, maybe a Son of Sam/Lopez Rivera lawsuit can finally help Bernie lose that pesky upscale vacation home that stands ever so nicely manicured between him and his socialist street cred. Has City College of New York paid Lopez Rivera to speak to its students and/or otherwise funded his activism? If so, throw the book at them, but be sure to bring your own book because there hasn’t been a sighting of a real book at CUNY since around 1978. And why stop with Oscar Lopez Rivera? Most states have Son of Sam laws. Just the list of terrorist murderers with direct ties to Barack Obama and Bill and Hillary Clinton practically make a baker’s dozen of ready-to-be-served tortfeasors. Bill Ayers and Bernardine Dohrn supported Obama financially and ideologically throughout his entire political career. They have also profited personally and professionally from PBS specials, teaching tools, and self-published books, interviews, and lectures that directly or indirectly relate to and romanticize their attempts to murder hundreds of innocents. Two more of Obama’s close allies also merit Son of Sam lawsuit attention and professional consequences for their crimes. In 1979, Weather Underground members and close Dohrn/Ayers compatriots Jeff Jones and (now-Judge) Eleanor Raskin eluded capture when law enforcement raided their apartment in New Jersey and found it full of explosives. They avoided arrest and went underground until another of their criminal partners, Weatherman Kathryn Boudin, helped kill two cops and a security guard in the Brinks ambush in 1981. Jones and Raskin immediately turned themselves in (and probably spilled their guts to police to minimize consequences for themselves). Jeff Jones and Bernardine Dohrn had also lived together underground in San Francisco when the Weathermen took credit for multiple acts of violence there, including the bombing of the Presidio army base in San Francisco. 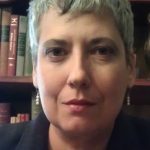 Today, in addition to being a judge, Eleanor Raskin is honored with law professorships at Albany State and Albany Law School, and Jeff Jones is one of the leaders of the Blue-Green Coalition, a union/environmentalist coalition that was showered by his colleague, Barack Obama, with virtually more TARP money than any other single entity. In 2012, Robert Redford made a movie called The Company You Keep, based on the crimes and lives of Ayers, Dohrn, Jones, and Raskin, along with their closest criminal co-conspirators. Are the movie’s profits grounds for a Son of Sam suit? Are the various professorships and special poetry awards given by universities and by PEN to killers like Susan Rosenberg and other terrorists-turned academicians like Angela Davis possibly Son of Sam fodder? These ladies certainly weren’t hired for their academic and poetry skills. The many victims of these killers and their accomplices should at least consider taking the civil action route. Meanwhile, the committee putting on the parade might belatedly save face by replacing Lopez Rivera with one of his victims, former New York City cop – and fellow Puerto Rican – Angel Poggi, who was risking his life serving the citizens of New York when an FALN booby-trapped nail bomb exploded in his face, destroying one eye, shredding his neck, and breaking his arm. I bet any survey of Puerto Ricans would choose Poggi over Lopez Rivera in a New York minute. The only people who would choose Lopez Rivera over Poggi are the trust fund baby former terrorists themselves, speaking down to the rabble from their gilded sinecures, do-nothing university chairs, beach houses, and mansions. Let’s see if we can liberate some of that wealth for the victims of their crimes.